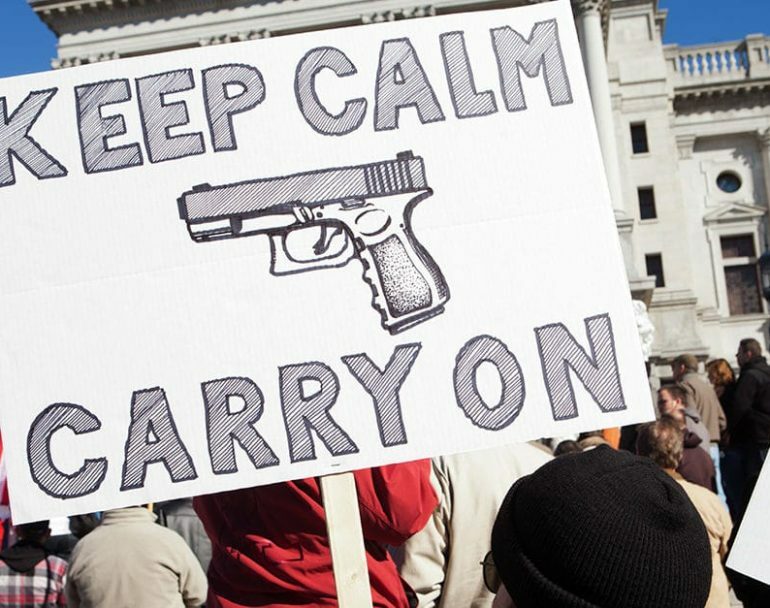 RALEIGH, N.C. (April 9, 2019) – A “Constitutional Carry” bill filed for the 2019 legislative session would make it legal for North Carolina residents to carry a firearm without a license, fostering an environment hostile to federal gun control. Rep. Keith Kidwell (R- Chocowinity) introduced House Bill 498 (HB498) on March 27. Under the proposed law, anyone who is legally allowed to own a gun could carry it concealed without a state-issued license. Currently, North Carolina is a shall-issue state in which permits are issued after the applicant pays an $80 fee and a background check is conducted. Under the proposed law, a North Carolina resident could still get a permit in order to carry concealed in states that have CCDW reciprocity with North Carolina. State actions such as passing HB498 would lower barriers for those wanting to the option of defending themselves with firearms and encourages a “gun-friendly” environment that would make federal efforts to limit firearms that much more difficult. HB498 has been referred to the Committee on Judiciary, where it must pass by a majority vote before moving forward in the legislative process.